I have a longstanding passion for helping girls, teens, and young women successfully navigate their ever-changing worlds. Each phase of life brings new challenges, unique joys, and opportunities for growth. This natural shift can be full of complex emotions and obstacles for girls and their families. It is my goal to provide support throughout these transitional years by helping my clients process their experiences, develop their identities, feel empowered, know and utilize their strengths, communicate effectively, and navigate challenges along the way. A big part of this journey involves learning about how our emotions, thoughts, and behaviors affect our lives. When we can understand what we’re feeling, the sources of our emotions, and our goals – then we’re better equipped to make decisions that feed our well being and align with the future we envision. I also believe that insight alone is not enough to create the change we want. In fact, making mistakes, doing things differently, and practicing new skills in a self-compassionate way builds the resiliency and grit we need to live successful lives. In addition, understanding the larger cultural messages we have received across our lifespan can empower us to make future decisions that fall in line with our inner truth. Knowledge is power and having a supportive space to learn and process our experiences is essential to our growth as individuals. I believe in the healing power of the therapeutic relationship, mindfulness, and the necessity for self-compassion. Therefore, my therapy is geared towards balancing these components in a culturally sensitive way. I value authenticity, the inner wisdom of the individual, and a safe environment. My hope is for my clients to have a space to sort things out and learn from their experiences, in order to feel capable of creating change in their world outside of the therapy session. I work with girls, gender-expansive youth, teens, young women, parents, and the LGBTQAI+ community. As DBT Liaison, my role is to streamline communication and collaboration between the Comprehensive DBT Team and the other members of the Institute. In doing so, the DBT team can more effectively meet the goals and needs of our growing program, while maintaining a strong connection with the overall organization. Several times a year I enjoy teaching interns and graduate students about DBT skills and the adherent/comprehensive DBT model of treatment. I present regularly at USC and to interns at various training sites around Los Angeles. What is Gender Identity Anyway? In 2016 – Doing DBT: An Advanced Intensive Training with Charles Swenson, M.D. & Kelly Koerner, Ph.D. 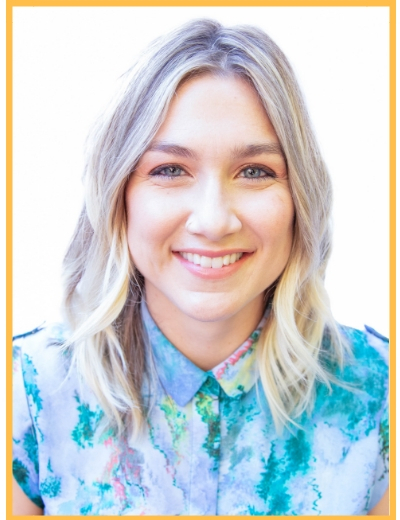 In 2019 – Dialectical Behavior Training for Children (DBT-C) Training for Experienced Clinicians with Francheska Perepletchikova Ph.D.
Mission: My mission is to help girls cultivate an inner strength that translates to assertiveness and advocacy in their everyday life; To help girls and young women build intrapersonal awareness and flexibility through mindfulness and self-compassion; To help them learn to embrace their imperfections, so they can feel more whole, worthy of love, and proud of who they are.